Indulge in rich, fortifying keratin proteins that reinforce each strand, increasing elasticity to resist breakage caused by brushing and styling, while argan oil conditions and smoothes creating a luminescent shine. Strands are strengthened from within and nourished throughout, helping to maintain longer, stronger hair. What You Do... Spray evenly all over clean damp hair and style as usual. Can also be used on dry hair to tame fly-a-ways. Warning: Avoid contact with eyes. If contact occurs, rinse immediately. 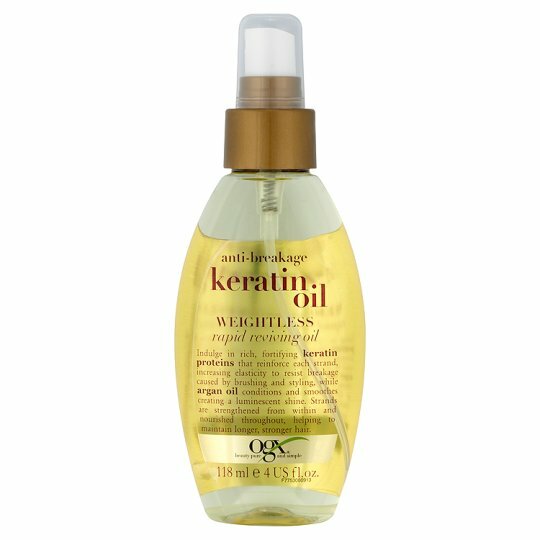 For best results use in conjunction with other Keratin Oil products.